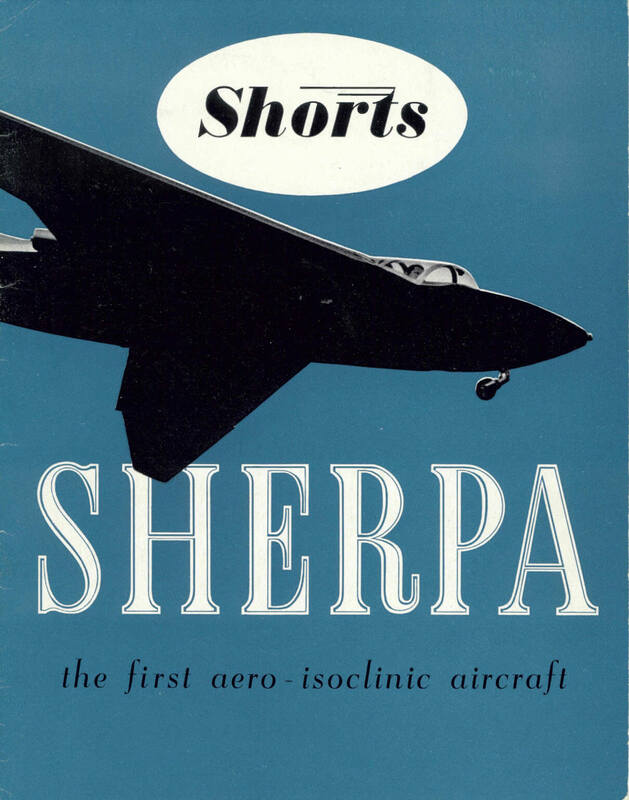 The SB4 Sherpa was an experimental aircraft built and flown during the 1950’s to test the aero-isoclinic wing concept. This was a radical new wing designed to maintain a constant angle of incidence regardless of flexing, by placing the torsion box well aft of the centre of pressure. This was intended to counter the problems then being experienced with aileron reversal and flutter from swept back wings. 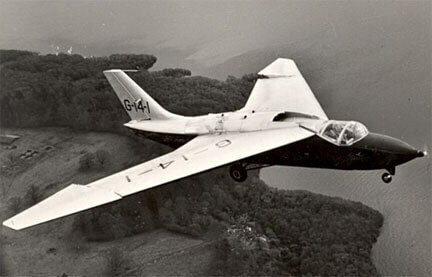 The aircraft was developed from an earlier SB1 glider design and first flew in 1953. The aircraft was flown for a few years but the design concept was not developed further. The remains of the single example still exists, now in the Ulster Aviation Museum. 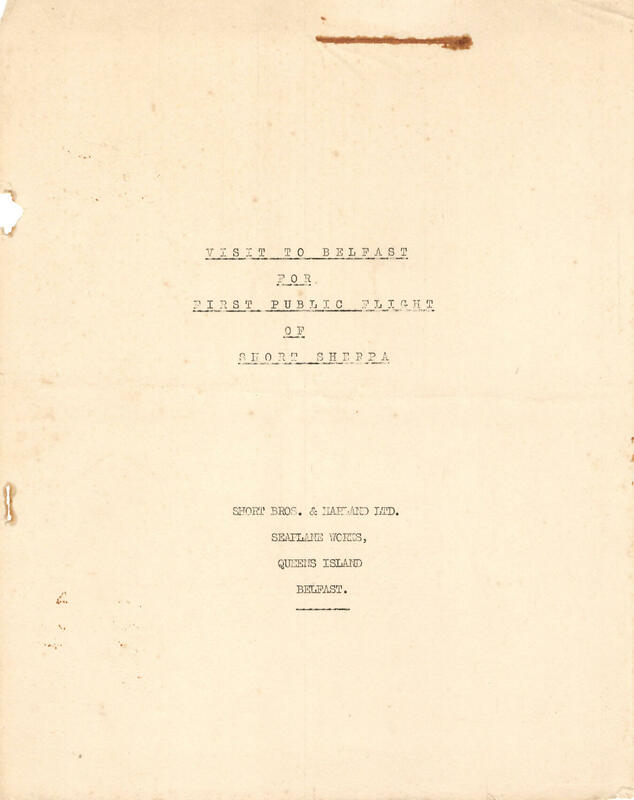 This title contains the Prototype Notes for the Sherpa, a sort of combination of Flight and Service Manual, along with a publicity brochure for the Sherpa and an interesting press briefing on the aircraft. The files have been scanned from the original documents and retain any colour pages. 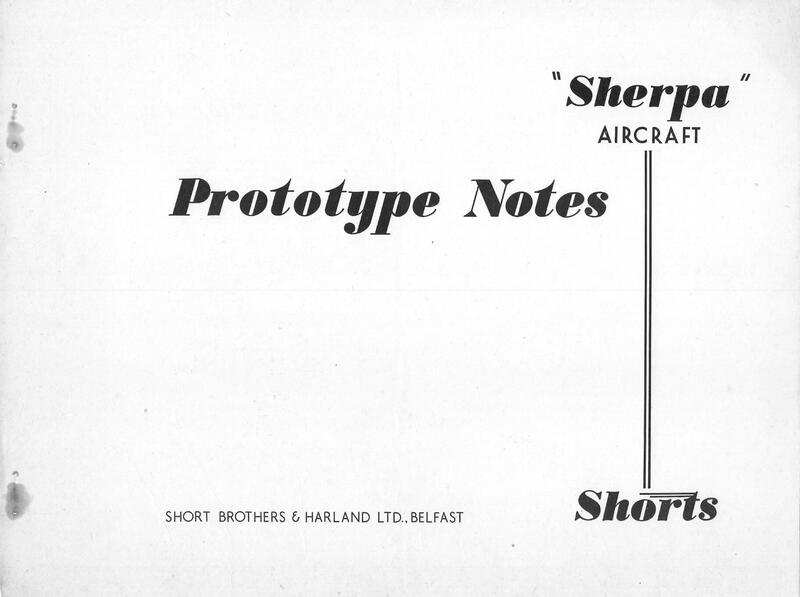 Manufacturer’s Prototype Notes for the Sherpa, undated with approx. 44 pages. Manufacturer’s brochure for the Sherpa, undated with approx. 12 pages. Manufacturer’s Press Briefing document. Issued on the occasion of a visit of the aviation press to Belfast to witness the first public flight of the Sherpa. Undated with approx. 12 pages.